Some call it a gift card. We prefer to call it sanity. Give the gift of babysitting. Last minute gift? No problem! 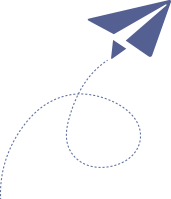 UrbanSitter gift cards are delivered instantly by email or you can print it at home. UrbanSitter gift cards are flexible. 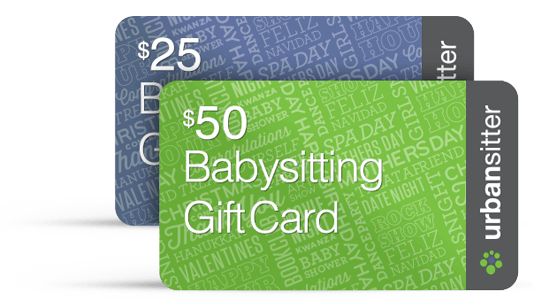 Your gift recipient decides how to use their gift card—to book a babysitter, get membership, or both! Nothing tops a babysitting gift card for Mother's Day, Father's Day, birthdays, baby shower presents or holiday gifts! Great for any occasion. The perfect gift. Every time. Sitter Search Search by local schools and parent groups to find your neighborhood's top-rated sitters and nannies. Proven, Trustworthy Babysitters & Nannies Get to know great sitters through video profiles, parent reviews and repeat family badges. Booking Review availability then book and pay online. It's quick, easy and you're off.